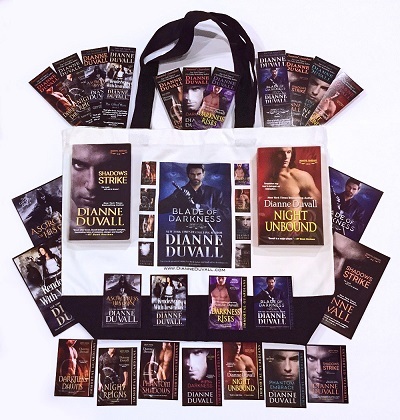 Dianne Duvall’s Immortal Guardians series has a place high up on my list of favorite series of all time and it’s well deserved. Needless to say, these are an auto buy for me. Immortal Guardians are people that are born with certain gifts, psychics, for just one example. When people are bitten by a vampire and turned, they end up insane from the vampire virus. When a gifted one gets turned, they become an immortal and don’t go insane. The immortals are tasked with hunting down the insane vampires and either killing them or in some cases, taking them to study scientifically. Human’s do not know about vampires or immortal guardians, except in a few cases where the human’s help them. The last I remember of Aidan, he had gotten into trouble for stealing a copy of the list of known gifted ones. He’s thousands of years old, but still hasn’t found his mate, so he decided to try and find her himself. He wants a gifted one so that she can be turned and spend eternity with him. So far, he’s met a few of the women, but still has a few more to cross off the list. He goes to meet psychic, Dana, and makes an appointment to be read by her. He realizes pretty quickly that she could definitely be the “one”. Dana takes one look at Aidan and pretty much falls into lust with him, even more so when she reads him and see’s herself in his bed! But she also see’s a horrible time coming to Aiden, as all the people he cares about turn against him, except for her. Dana is beautiful, feisty, and smart. She has made a living with her psychic abilities, but has no idea that she is considered a gifted one with the possibllity of becoming immortal one day. Aidan may be spectacularily handsome, but he’s lonely and just wants to meet his mate. He’s also the quintessential nice guy-when he’s not out killing vampires. 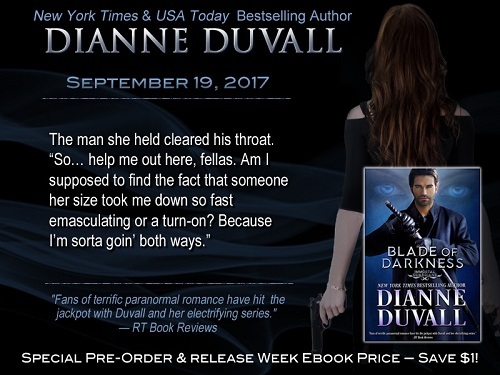 It doesn’t take long before the violence that is part of Aidan’s life comes for Dana. When she finds out about all the vampire and immortal guardian secrets, she s pretty much blown away. And intrigued. Of course this isn’t the only thing that is happening in this book. Gifted ones are going missing. When it turns out several are women that Aidan has met, things are about to get real for Aidan. Enough said. I love that all the characters in the story are now like old friends. Long time readers know most of the backgrounds of everyone and all the little idiosyncrasies of each immoral/or mate. And all of the special abilities that each has because when they become an immortal, they also received at least one more ability. I have at least three more characters that I want to see have their book. Namely, Seth, the leader of the group and an ancient, David, also ancient and second in command, and Chris, the human leader of the center where the immortals study vampires, and the liaison between humans and immortals. Duvall’s writing and pacing are pretty flawless and I was entertained every minute spent with this book. 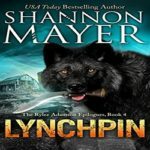 While writing this review, I went back through the book and found myself re-reading many parts because it pulled me right back into the story. 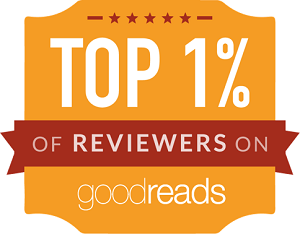 That’s a sign of a good book as far as I am concerned. 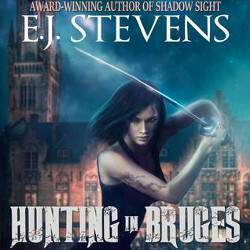 I highly recommend this book and the whole series to adult(steamy scenes)paranormal romance readers and urban fantasy fans may like it as well due to all the action, violence, and vampire hunting. The icing on the cake is the humor sprinkled throughout. Let’s just say that Dana has protecting Aidan issues. My thanks to the author for sending me a copy of this book for review, in exchange for a fair and honest review. Just a heads up, you should really start with book one. Everything will make so much more sense to you because they do pretty much go in order and have an ongoing story arc, although each book is about a different couple. 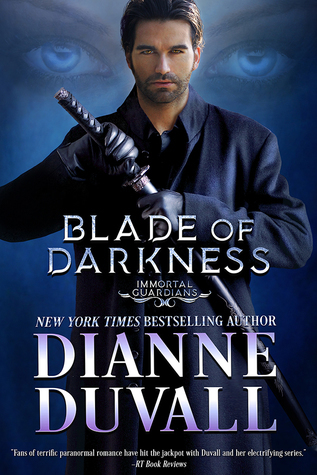 Thank you for helping us celebrate the release of Dianne Duvall’s BLADE OF DARKNESS!!! <3 I'm so glad that you enjoyed the book as well! I really need to try Diane Duvall. She sounds great. Glad you enjoyed it. You would absolutely love these I am almost positive. So good! This whole series is on my list since reading a novella standalone in the same world. I can see why you love these books the way you described things. Gosh, now I am wondering what novella? I am sure I’ve read it, but I am drawing a blank. I hope you do continue on with the series Sophia, I think you would love these. You are more than welcome. Thank you for the copy you sent me for review. It’s pretty much beautiful! I love when it’s kinda rivalry between powers.. Excited to read that one. Wouldn’t it be great if Chris fell for a gifted one? I mean, he makes me mad sometimes, but I think that would be interesting. I also remember he has a thing for his assistant-so maybe not. SQUEE!! I have this, and as soon as we return home I fully intend to devour it. I was so excited to get my copy so yes Squeee sounds exactly right! This sounds like such a fantastic instalment in the series! So much happening. 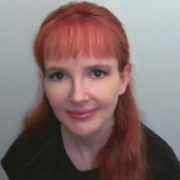 I need to try Dianne Duvall, and soon! Oh Naomi, I know you would love these. They just have everything going for them. You should read them in order ideally though because they do go in order as far as the story arc of the series. I’m a bit silly but I’ve not been able to read in my favorite place, the bathtub, for 1.5 years and in October I will finally be able to do so again! SO these books are at the top of the list for breaking in the new tub. SO EXCITING! How exciting for you! 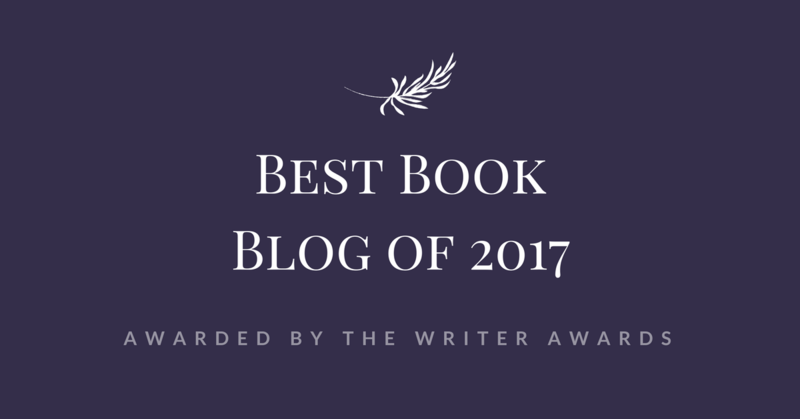 I hope you enjoy the read!